In 2014, Tokio Hotel joined Rock Mafia, David Correy and Wycleaf Jean for this project included into FIFA 14 Soundtrack. It’s the 6th track of Schrei album (2005). The song was written (music and lyrics) by Bill Kaulitz, Dave Roth and David Jost. The last two are also the producers with Pat Benzner and Peter Hoffmann. Tokio Hotel performed Ich bin nich’ ich on Schrei Live Tour (2005/2006), Zimmer 483 Tour (2007) and some cities of 1000 Hotels Tour (2008). On October 2017, Bill and Tom Kaulitz had an interview for German magazine i-D and posed also for a photoshoot. Back in 2012, Bill Kaulitz collaborated with Far East Movement on If I Die Tomorrow included into Dirty Bass, fourth studio album of US hip hop group. Earlier on 2015, Bill Kaulitz joined a new record of classic-John Lennon’s Imagine with other international artists for Unicef campaign. The recordings were filmed also on the very first episode of Tokio Hotel TV 2015.
Zimmer 483– hidden track and Spring Nicht’s B-Side. This song talks about Kaulitz twins brotherhood. It is written by Bill and Tom Kaulitz with Dave Roth, Patrick Benzner, David Jost and Peter Hoffmann that are also the producers. 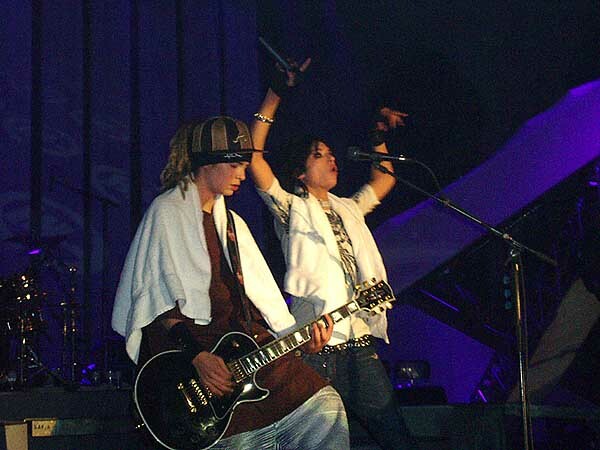 Bill and Tom Kaulitz performed it alone during Zimmer 483 Tour (2007) and 1000 Hotels Tour (2008). It’s the 19th track of Humanoid album (2009) included into the US iTunes deluxe edition. The song is written and co-produced by Bill and Tom Kaulitz (lyrics) with Desmond Child and produced by Dave Roth, Pat Benzner and David Jost. Tokio Hotel performed the song during Welcome To Humanoid City Tour (2010). German magazine that later 2017 shot an editorial dedicated to Tokio Hotel’s Magdeburg-LosAngeles apparel line. Tokio Hotel performed in the Austrian city on March 19, 2006 during Schrei Live Tour at Dogana. Tokio Hotel posed twice (on 2010 and on 2011) for the Japanese magazine. The whole band has a profile on Instagram, the only one that doesn’t use it is Tom. You can follow them and all their related projects (MD-LA and Billy solo project) on “Tokio Hotel on socials” section on the blog menu. In 2006 Tokio Hotel joined Amnesty International Campaign to Save Darfur, recording a cover of John Lennon’s Instant Karma. The band also performed the song during 50 Jahre BRAVO event. On September 2014, Bill and Tom Kaulitz posed for Brad Elterman for Interview magazine photoshoot. It’s the 9th track of Kings of Suburbia (2014) album. 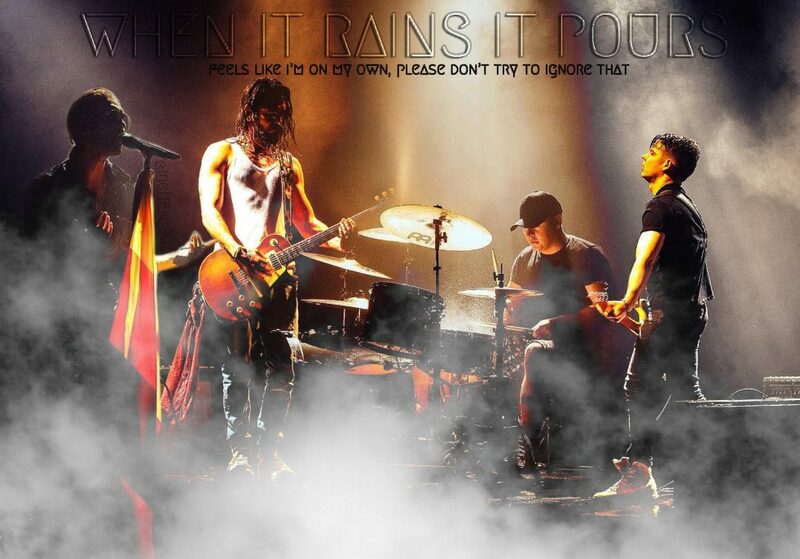 The song is written and by Bill and Tom Kaulitz with Dave Roth, Pat Benzner, Guy Chambers and David Jost. It’s produced by Kaulitz twins and Madizin. Tokio Hotel performed the song during Feel It All World Tour (2015). 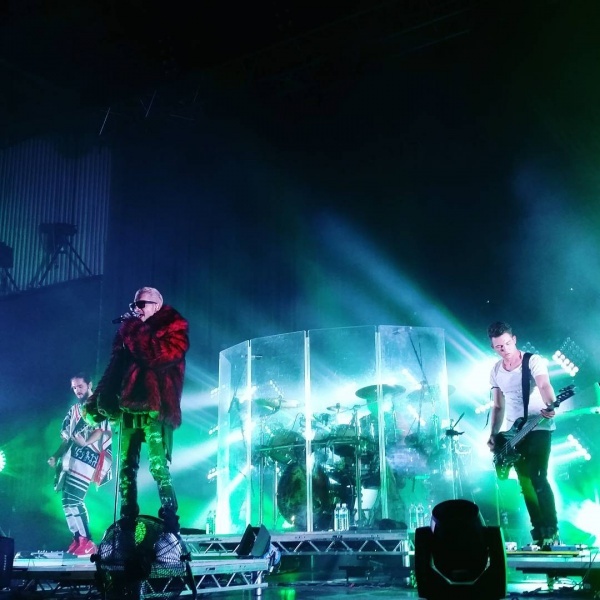 The band performed in the Russian city on October 10, 2015 at DS Trud opening the Russian leg of Feel It All World Tour. Tokio Hotel performed in Isreal in 2007 being the first German artist to perform in this country. Tokio Hotel really loves my country. They came so many times for concerts (14 dates), performances, interviews and events since 2007. Tokio Hotel performed in the German city on August 18, 2006 during Schrei Live Tour at Stadion Itzehoe.